OzFoz.com • View topic - YNO - MY06 XT Foz - The rebirth! YNO - MY06 XT Foz - The rebirth! 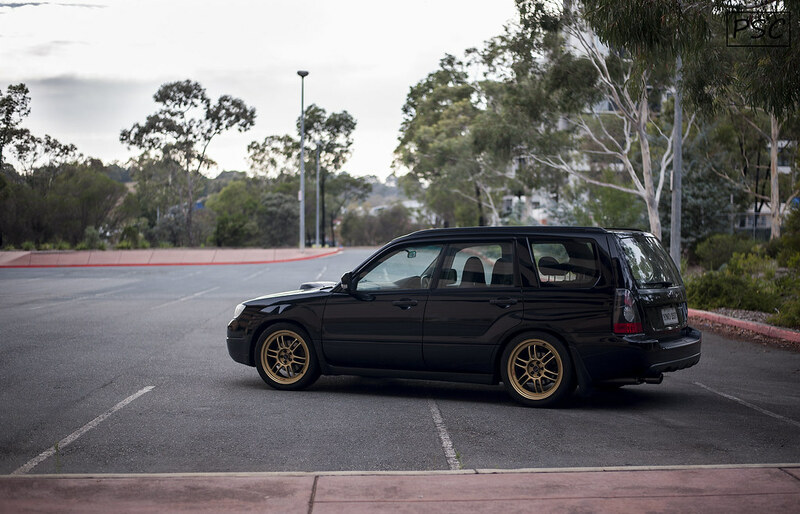 Post subject: YNO - MY06 XT Foz - The rebirth! Have been a member a few months now since I picked up my MY06 XT 5MT. Nothing really happened till now though, and wanna keep a bit of a record so it's time to start a thread. Picked the car up from Sydney and drove it back to Canberra at 3 o'clock in the morning, and coming from a junk heap VT Commodore auto I had a stupid grin on my face the whole trip! After getting stuffed around by the ACT Rego folks for a week or two (normal practice for them apparently), it was registered. ...Also, my photography skills got a bit better! First mod ever was a Kartboy delrin shiftknob with thanks to Entra... Had never heard of Kartboy before getting the Foz!! Anyway, this thread will not be action packed like some others on here, but i'll update as stuff happens. Thanks for looking and comments, criticism, tips etc are all welcome!! Last edited by S2-13BT on Sun Jun 10, 2018 6:23 pm, edited 41 times in total. So a couple weeks ago, after returning from holiday I noticed a vibration in the car. It got a little worse over a week, and I decided I better check it out!! To start with I thought i'd rotate the tyres to check for any changes, and that's when I found the FL wheel bearing was beyond screwed. That weekend we set about pulling it apart, and found the axle nut on that side was loose and the bearing was destroyed. Ordered replacement bearings and hubs for both sides from http://www.subarugenuineparts.com which arrived last week. Didn't bother installing them yet, cause yesterday I picked up some BC Racing BR coilovers for the car too and figure I'll chuck the whole lot in this weekend before getting it aligned next week. It's booked in for Monday. Last edited by S2-13BT on Wed Sep 06, 2017 8:34 pm, edited 1 time in total. Found this the other day... No idea how it happened, as the car has been sitting as above for a couple weeks now. Will need to get that sorted out asap. It's on the drivers side across both doors, and the rear door is slightly dented. Last edited by S2-13BT on Wed Sep 06, 2017 8:35 pm, edited 1 time in total. Hope to see you around ACT mate. Please email otf-detailing@gmx.com for anything urgent. I had YNO 20B on my old 1st gen RX7... I used to get asked all the time if it had a 20B in it (it didn't), so I gave up trying to make any meaning in the plates. I just wanted to continue the YNO thing!! I'll report back on the coils. I'm more a handling guy, than a power guy cause IMO it's more fun using a car that can handle when restrained by speed limits. No disrespect to the big power guys of course (looking in PCXT's direction), and i'd be flat out lying if I said I didn't want power as well!! I do like to look after the handling side of things before moving to other stuff. I'm sure a budget coilover like the BC BR's will be just fine. I Say: my wife told me If I buy one more thing for the Foz she would leave me, God I'm going to miss her.. TEAM GOLD COAST ///\\\ Operation: "Pink Fuzzy Dice"